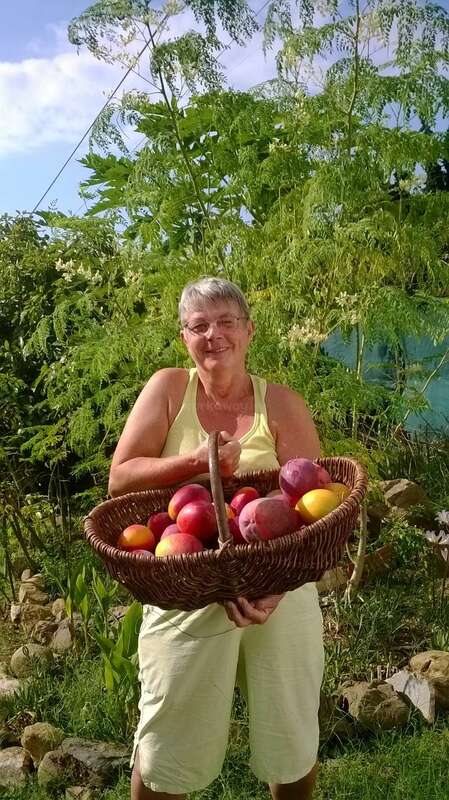 I am looking for working guests who are very passionate about nature and enjoy simple natural life on an organic Mango- and Avocado finca with a variety of exotic fruit trees and a vegetable garden. You should have some solid experience about gardening/farming or building and maintenance and willing and able to adjust to an ethical lifestyle and keep a personal high hygiene standard also in your sleeping- and common kitchen area. You should also have good manners , be open for communication, concious and able to see and take your life in your own hands. You should be able to work independently. We will show you to work but cannot give workshops also in case you are a quick learner. Smoking and high percentage alcohol are not allowed. Please no Reiki and energy healing. You receive food for a vegan lunch on working days as well as Avocados or Mangos depending on the season. Other food ( breakfast and dinner) as well as weekends you are responsible for your ownself. Please bring only ecological soap, shampoo etc. The finca is located about 5 km from the sea/next town(Almayate), 30 km from Malaga and 10 km from Torre del Mar/Rincon de la Victoria. When I go shopping I can take you with me. Walking to the beach about 1 hour oneway. Respectful, concious, disciplined and natureloving persons are offered to come to this little paradise, helping the nature and each other to improve and to live a true and close-to-nature life. Although living in the nature you should have a cultivated appearance. Please o n l y apply for a stay if you fit in the requirements. You should be able to accept some rules for the benefit of all. Minimum stay 3 weeks. Long-term working guests welcome. You should have experience with living on your own, to be able to keep your room and common kitchen tidy and clean. This is most important. To confirm that you read all profile correctly pls. indicate your sign of the Zodiac and Asc. The finca is a quiet and spiritual place. You should be able to accept this. All accomodations have their own internet access via cable. They could learn to respect Nature and be grateful for the gifts we get in form of wonderful fruits. Working in the nature means listening to the quietness and the speech of the trees and interaction of your own nature and the nature of the trees. You will look at the fruits in a different way than before. I also give Mandala painting workshops and can give you some info about vegetarian/vegan, lektinfree and ethical lifestyle. careing for the vegetablegarden, building ,maintenance of the Finca. Mowing with the machine. Sometimes physical garden work depending on planting time. You should have some experience either in maintenance or gardening. As I do not speak Spanish well, I also could need some Spanish lessons. People who give massages are also welcome as I have physical problems. We have a small appartment with the common kitchen and a caravan with a wonderul wooden terrasse and a built toilet/shower. We also rent the appartment for guests who do not like to work or only some hours/day. We have Osmosis drinking water. On sundays I take working guests with me mainly to the sea or the Nerja. 20 hours/week maily in the morning, 5 days a week if you cook your own meals, if I cook then per day 1/2 hour more. it was a pleasure to have such a natureloving Lady with me. Your work was always super perfect and I could depend on you to do your very best. You worked with pleasure and love. Also hard weeding and pruning work was done by you with enthusiasm. 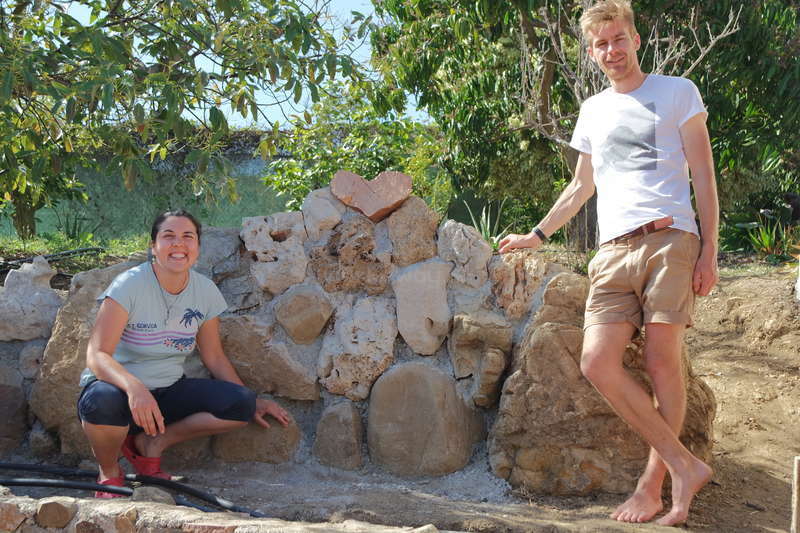 You helped me alot to make my finca a bit nicer for the people staying and for those to… read more come. I would be happy to welcome you again whenever you like. in which I could feel the love You put in it. I felt welcomed, at home and appreciated. 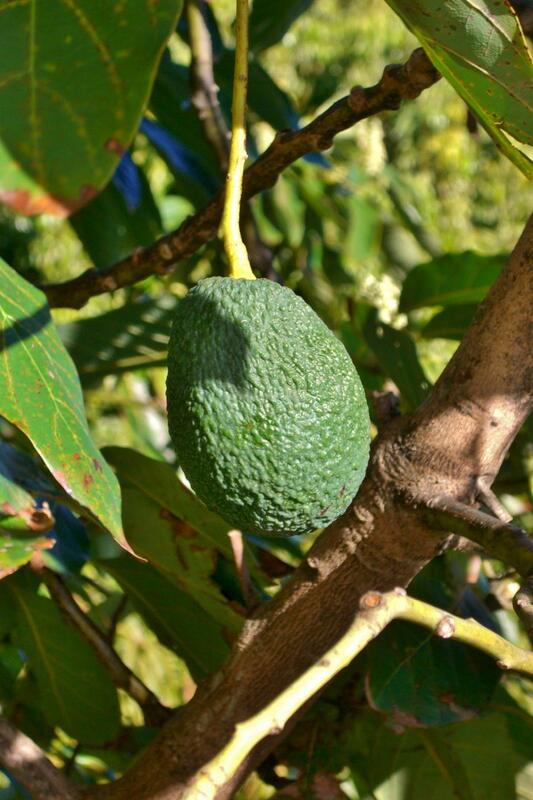 It was great to work in the garden and among the avocadotrees, weeding and prooning. I stayed in a caravan with a terass ootside from where I enjoyed the view at daytime and the… read more stars and moon at night. And the hammock to rest in. You have a lot of interesting knowledge and it was nice to have some small chats with You. I also appreciated Your well tasting nourishing meals. And that You took me/us to the markets in Nerja and Torre del Mar. It was a pleasure to have Dana as a working guest here on my finca. She helped me alot in renovating an apartment and a small house. She inspired me and had good ideas. We worked together very nicely and I could depend on her because she made all her work with interest and very perfectly. We had also a very nice personal communication and I really… read more found a friend hopefully not for only some weeks. Thanks alot Dana that you were here. I wish you all the very best also for your musical career. I am sure you will find your way. I really enjoyed it to be at your finca.. It was my first Work away experience.. It is such a beautiful place, you take care of everything with a lot of awareness and love. This I really admire and appreciate! 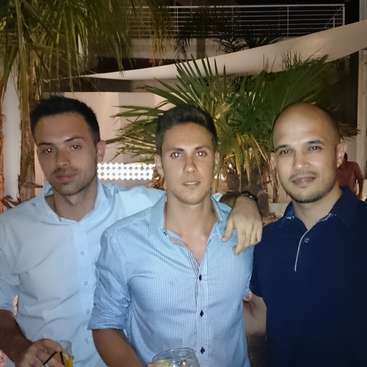 I learned some new things from you, I did many different tasks in a short time and… read more enjoyed the work a lot, the structure that we created with each other and of course your company! You are a very kind and warm person.. I felt at home and would love to visit you some day again! danke für die angenehme Zeit mit dir. Du warst mir bei den anstehenden Arbeiten eine außerordentlich große Hilfe. Das Mandalamosaik und die Zeichnung in der casa Mariposa erinnern mich jedesmal an dich. Ich kann dich jedem Host sehr empfehlen, denn du warst außérordentlich aufmerksam, respektvoll und hilfsbereit. Ich war mit deiner… read more Arbeit aber auch persönlich sehr zufrieden. Ich wünsche dir für die Zukunft alles Gute, du bist herzlich eingeladen mal wiederzukommen. Verspätet möchte ich mich noch herzlich für den Aufenthalt bei dir bedanken. Es war meine erste workaway-Erfahrung und der Beginn meiner Reise durch Spanien und Portugal. Die 3 Wochen haben mich auf jeden Fall gut für die nächsten Etappen vorbereitet. Da die Arbeit sehr abwechslungsreich war und ich viele meiner eigenen Ideen… read more einarbeiten konnte (wie das Fliesen der Terrasse oder das Mandala, das ich ins Ferien-Appartement gemalt habe), wurde es nie langweilig, auch wenn man sonst ja eher etwas abgeschieden von der Welt wohnt (zumindest ohne Auto). Ich denke wir haben beide von dieser Zeit profitiert und ich habe das Leben auf deiner Finka, mit all dem guten Essen und der wundervollen Aussicht sehr genossen. Zum Glück ist ja auch das Meer nicht all zu weit weg und auf ALSA war auch immer Verlass und so konnte man am Wochenende gut andere Städte und Strände erreichen. Ein Auto würde ich den nächsten workaways für den Aufenthalt bei Emmeli allerdings doch sehr empfehlen und am besten auch einen Partner, den ab und zu hat man sich doch ein wenig einsam gefühlt..
ansonsten kann ich Emmeli und ihre Finka aus ganzem Herzen weiter empfehlen und ich bedanke mich für diese schöne Erfahrung ! I really enjoyed my 2 weeks at the finca, fun and pleasure to work with sweet mangos and to take care of beautiful plants in the garden. I also met very friendly people and Emmeli… read more was very welcoming to everybody. I had great accomodation in little caravan surrounded by exotic fruit trees. Thank you very much for having opportunity to experience all the beauty of your home Emmeli, I hope that your well! Jan, thanks for your help with some woodwork and also tiling and garden work. It was a pleasure to have you here. You are a very friendly, tidy and respectful person and I enjoyed having you in my home. You are invited to come again. We spent 3 weeks with Emmeli at her wonderfol finca. We enjoyed her paradise with mangos, avocados, oranges, lemon, kumquats, salad and vegetable and it gave us a very good feeling to give a little help with our work at the watering system, fences, vegetable beds and all with a wonderful view at the sea...!!! Besides we helped with some work at… read more the timber construction of the roof of the winter garden, an interesting challenge too, also work with natural material, great!!! We had vegetarian lunch together with Emmeli at a marvelous place and spoke about the projects, which were well organized and structured. 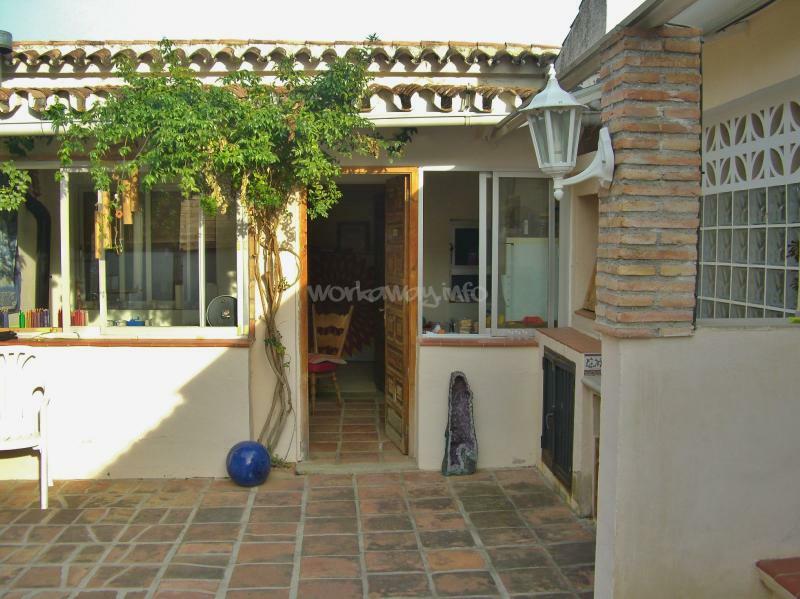 In the afternoon we were free to explore beautiful Andalusia, go to the beach or stay in our lovely tiny house in the garden with bathroom and stove heating, until the sun awoke us every morning for new projects. We thank Emmeli really a lot for this great experience and hope to come back soon, perhaps with Jan, the other workawayer we met at Emmeli, for the season of the mangos??? I stayed at Emmeli's Finca for 3 weeks and had a great time! The work was mainly around the mango and avocado trees, sometimes physically hard, but I also learned a lot of things about gardening and Emmeli made either a delicious salad or some other vegan food. I learned a lot of things about healthy eating, if you need information about this,… read more you're at the right place with Emmeli! You also can visit Nerja and the other coastal towns but only the finca itself is such a nice place, you'll relax automatically. Thanks for the great first workaway-experience! Staying in this beautiful finca has been a pleasure. Each morning on workdays we met for a small talk about what today's work will include and helped to get me started. After the work day is finished we had a well tasting varied vegan lunch and a small feedback meeting where it's encouraged to voice any thoughts about the day. I stayed in the… read more apartment during my stay and always felt that my privacy was being respected. The living areas are a little bit spread out so you always have the opportunity to be by yourself. FOR FUTURE WORKAWAYERS: Bring your hammock! By the caravan there are ropes to hang it up, perfect for those warm days after lunch. To anyone reading this one day; Emmeli's Finca is a glorious space in which you are welcomed, taught and nourished from your belly to your soul. I cannot thank you enough for welcoming me into your home and space! It was an incredible time and I wish it could've been longer. The food, the conversations, thee absolute best mangoes that I've ever… read more eaten and will eat in my life! Although SA is stupidly far away from Spain, I'd be so unbelievably happy to come back one day ❤️ Thank you for everything Emmeli! I loved the work and place and the big hug you gave me when we had just met. Here comes the sun! Breathe it in! I stayed 3 weeks at Emmeli's lovely finca. If you are looking for a place where you can find a perfect balance between work, beautiful surroundings, and personal growth, I can definitely recommend coming here! In turn, she is also very fair and open to suggestions or complaints, and she will definitely listen to you if you have something to say. The work is not too much and will depend on your skills, and the lunch is DELICIOUS. From the first moment it was a real pleasure to welcome him on my finca. He is so friendly, concious, intelligent and has wonderful ideas. Every morning he appeared with a smile on his face and the working day started in a very positive way. The tasks I gave him, he accomplished in an excellent way. I could always depend on him . 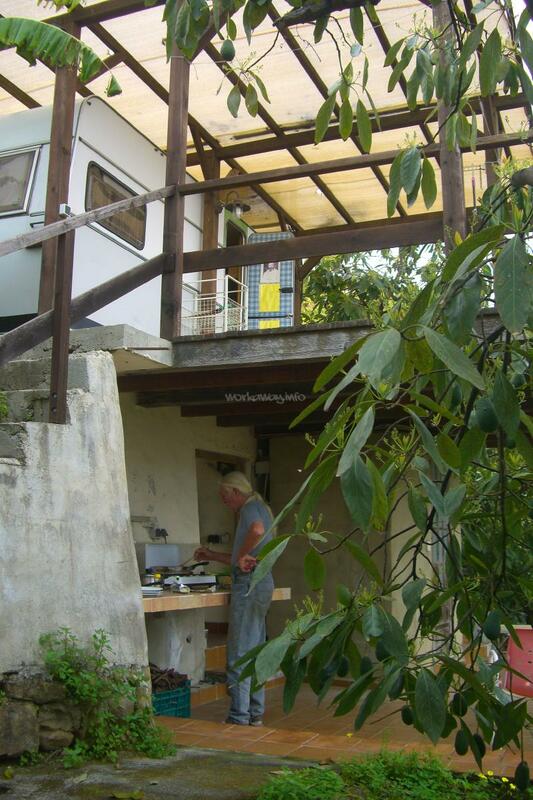 I stayed with Emmeli for 7 days in her beautiful ecologic finca! In only 7 days I did not just gain New knowledge on sustainable farming, I also got me a New friend! Emmeli was all about giving and never did she ask for anything beyond the agreed 4 hours of work. She did not only supply me with an amazing accommodation and food, she also showed me… read more around in Torre del Mar and Nerja. She's a really good organiser. By saying this I mean that she knows exactly how to give you the right tools if you're open and a good listener. By tools I'm not only refering to fysical tools but mental as well. Thanks for everything, I'm looking forward to see you again one Day.. This is definitely a place for people who prefer more quiet time and also people who like structure. Everything was very organized and I was assigned mang various tasks which was nice. Emmili is a very good vegan cook and also has a sense of humour. The only thing I found a bit frustrating was that every little detail is being pointed out, and… read more sometimes prejudged, but I also realized that I can be more cautious with the things I do - but expect an honest and very direct host , whom you can always talk to if necessary and ask curious questions about gardening etc. Branislav stayed about 4 weeks and he did a very very good job here. I could alsways depend on him. He is 100% relyable and I could really enjoy his stay here. He was always there when I needed help and worked with love and attention to the trees. He is very clean and kept his small apartment in a perfect condition, which is very important to keep… read more a good vibration over here. He also was a good excample for the younger working guests. All I can say - I only can recommomend this working guests to all hosts because he always does things to his best. Staying at Emmeli's finca was very unusual experience. It is nice, silent place with spectacular view on see side. If you like nature and very healthy life style, this place is best for you! Emmeli has lot of experience with preparing vegan food and can teach you lot of about cooking/consuming generally. Also I must say the cleanlines at this… read more place was on the highest level I have seen during my volunteering. What depends on work, Emmeli always explaned me in detail what needs to be done and she was very tolerant when I made some mistake. Thanks to this attitude I have learnt a lot of useful things. Her lunch was always delicious and sometimes she prepared for us great smoothie :) I am really thankful for my 4 weeks stay and wish to be back one day. Emmeli thank you for everything! Emmeli, thank you very much! We've got a lot of experience, we are very happy to know you and your place! The work was very different and we had no time to get bored. We advice to everyone this amazing woman and her offer:) Emmeli, you are very kind and good woman! Thank you! Hello from Russia! Ryan was staying at my finca for 3 weeks and we had a wonderful time together. Being an Architect he contributed very valuable insights and within a week we could build a pavillon. He was leading the project with skill and alot of organization talent. His harmonic personality helped me alot to keep things going. He was always eager to fulfill his… read more job perfectly. I was so happy to have him and his girlfriend with me. You are always invited to come back. I wish you the best for your future in your new job. I am convinced that you will be a good Architect and a good leader. Thank you for your wonderful help. Just from the beginning I had a perfect connection to Anna. She has a good sens of humor and we laughed alot. Regarding work I could depend on her that she fullfilled the job to its best. With the other 2 working guests we had a very harmonic and effective team work. With her help we could finanlize a wonderful white pavillon and shade for the… read more forthcomming Mango season. At the end of the working day Emmeli provides a delicious meal which I looked forward to very much, especially when you could smell the aromas in the air! When cooking Emmeli really puts a lot of energy and time into her dishes to provide a nutritious and uplifting meal. Thank you Emmeli, take care and all the best to you. Her Finca is extremely peaceful and calm . Where you can escape the stressful world,learn new things and get to know yourself. My room (the caravane) was very nice,with an amazing view on the sea through beautiful trees. I also really loved the amazing Smoothies that Emmeli prepares for the break ! Thank you !! l Emmeli is a great cook,she gives a lot of energy in her way of cooking. Emmeli is a great person. She is very interested in organisation, cleaning, spirituality, medicine... It's important to respect the rules in the Finca. I can highly recommend this place and would be please to come back. This finca is a beautiful, sacred, magical place, for people who like to take care about nature, and who want to experience a more spiritual and ethic way of life. Emmeli is a very nice person and a great, imaginative cook. Very exellent experience I highly recommend, I fell very thankful. Roman is an extrovert person with very nice and polite behaviors. He always gives you a hand when needed and I was very happy to host him. He also is very concious and realises also small problems and solves them without even a notice from my side. He is respectful and gave me the feeling that he enjoys his stay and work in the nature. I spend one month on Emmeli's finca from mid-April to mid-May. Her home is very quiet, peaceful and very beautiful. Work on the finca was often very creative, simple and time was running very fast. Every working day we worked four hours and in the middle of working time was half an hour break for tea, small snack, or sometimes for delicious… read more smoothie. After work, i always looked forward to Emmeli incredibly tasty, healthy and vegan food. Emmeli is a great cook, but particular woman with a good heart and with a correct outlook on life. 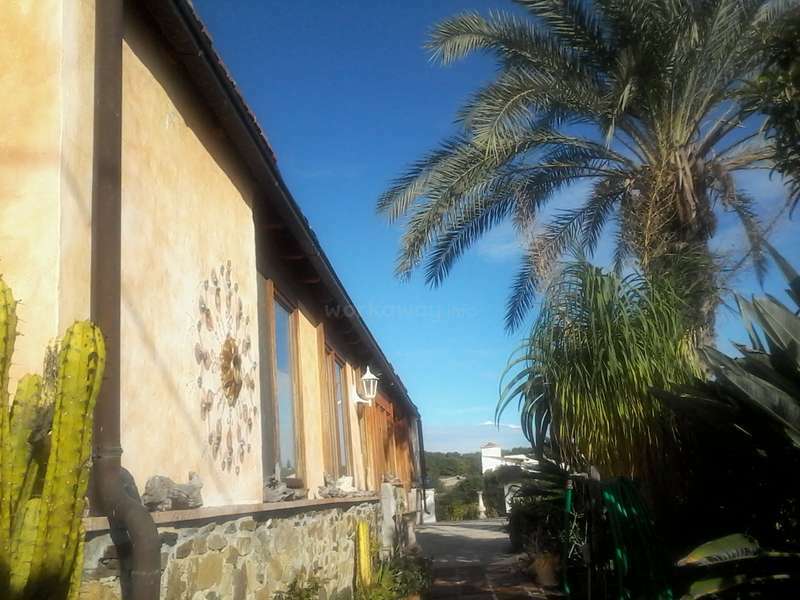 Finca located in a quiet valley 3 km from Alboran sea, in free time I was ran, ride a bike or take a walk to the sea, or to the 10 km distance city... At the finca is the possibility of staying in the guest room of the house or in a caravan a little behind the house. I chose the caravan and I recommend it to all who will go there. Beautiful view of the valley, sea view and very often hear the birds singing from the surrounding mango and avocado trees. Stay at finca recommend to all who love nature, love manual work and interest for healthy vegan food. In autumn i want return to the farm at least for a month and are already very looking forward to it. Thank you Veit, that you have been here. I could really enjoy your calm, respectful always friendly and polite manners. You were a great help for me here. I could depend very much on your work, which you did in a responsible and caring way and with wonderful results. I was happy also to work together with you on our natural wall project, which… read more turned out to be a small masterpiece including some art details. I spend three weeks on emmelis finca. Her Home is a very peaceful, calm and friendly place. A place where you can escape the stressful world,learn new things and get to know yourself. My room was very nice,with a small bathroom and next to the kitchen for the working guests. I had to work 4 h per day. Sometimes i had to repair stuff around the… read more finca or to cut some plants/trees. But most of the time we created a new wall in near of the entrance. It was a great and new experience for me,working in a team,creative and physical work. In the last hour of work emmeli normally started with repairing the meal. Because emmeli is always cooking in the outside kitchen the whole area around the finca is full filled with a smell of really healthy and deliscious food. I think i never ate so healthy like in these 3 weeks. She is a great cook,who can create a meal with good energy and so much taste. I enjoyed every little part of it. Emmeli is a great person, with a big knowledge in food. She is very interested in organisation. So there are ruels on the finca, but no big deal if you are an open minded and respectfull person. I am thankful for the talks we had and the trust you gave me. Thank you for showing me the spiritual side of life, the books you gave me to read. Thank you for giving me the opportunity to stay 3 weeks at your finca, i found myself a bit more in this peaceful place. I hope to come back! Annika came to my finca in Mango season I gave her alot of small tasks which she did with full attention and in her own introvert concentrated way. In the beginning it was a bit difficult for me to approach her but in the last week when she was more open she could much more understand the intention I am doing the work here in guiding mostly young… read more people and helping them to get an intensive understanding of nature and in their ownself if they are willing to learn and to listen. I wish Annika all the very best for the future - we are all very special because we were designed by HIM. I stayed with Emmeli for three weeks last September on her Finca. 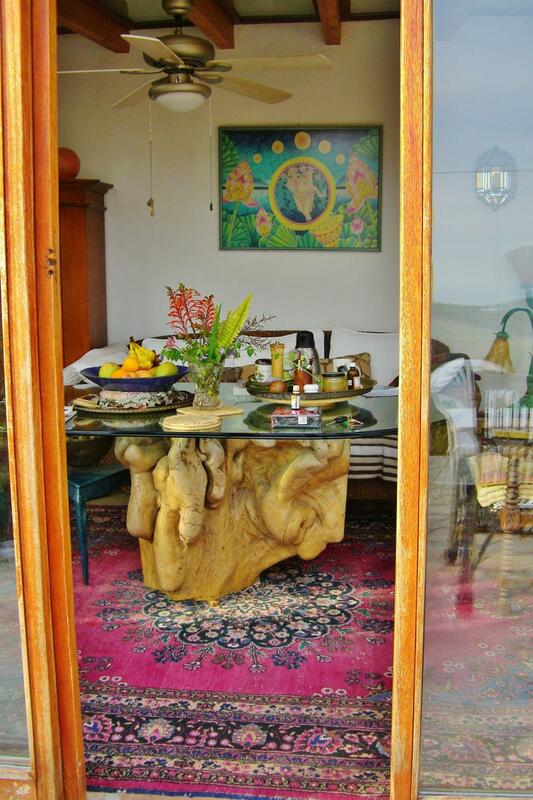 It is a stunning place surrounded by thriving mango and avocado trees and the sea within view. I was allowed to sleep in a former meditation house and I fell in love with the peaceful and calm atmosphere the spacious room radiates. Of course, you will be asked to keep the finca and… read more accommodation as clean as you received them to maintain the beauty of the place. 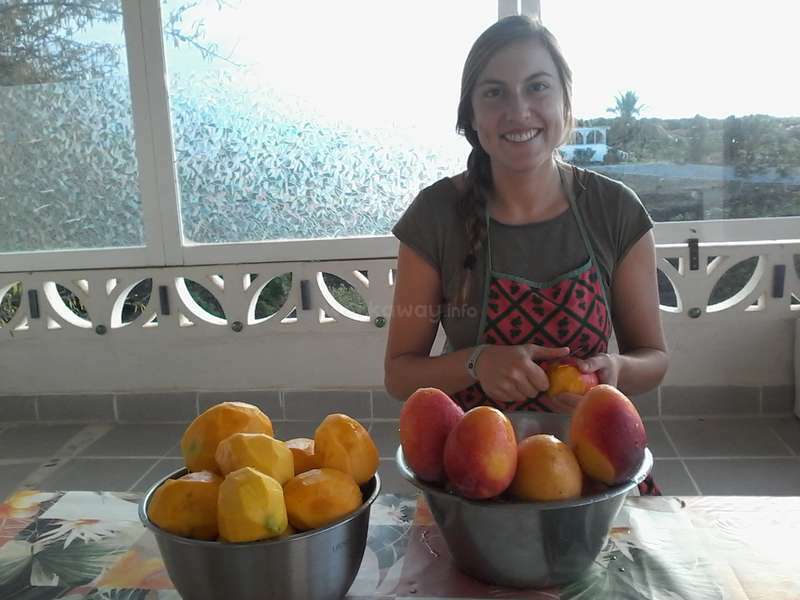 My work tasks consisted of outdoor work like clearance of some areas, cutting smaller trees, cleaning and scraping paint down from the outside wall of the finca but also indoor work like helping cut mangos so Emmeli could make a big batch of mango drinks for a gathering. The work was never boring because there is a big range of things to do and Emmeli is always willing to give you another task should you feel it is too straining for you to do. The time and effort she puts into the food volunteers receive for lunch (always freshly cooked and nutritionally dense and vegan) is exceptional and needs acknowledgment. We even got to eat ripe mangos each day and avocados sometimes which was great I loved it. The best thing this experience and Emmeli thought me was to tackle some personal issues. 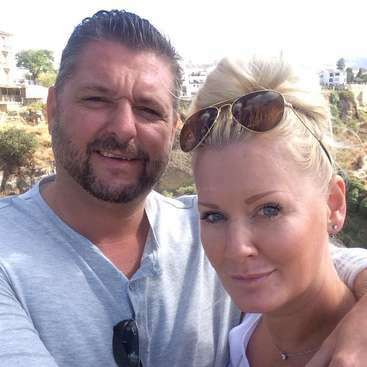 Without going into further detail I can say that staying with Emmeli has helped me see some space for improvement on a personal level and though it has been rather emotional for the two of us, I'm grateful for her to have taken the time and effort and for believing in me. I'd recommend the finca to anyone who has a sense of cleanliness, love for natural beauty and is open to learn about themselves. Thank you Emmeli. Es ist in schön, an die Zeit mit auf deiner Finka zurückzudenken. Ein Ort voller Schönheit und Üppigkeit der Pflanzen, und so warm eingerichtete Wohnmöglichkeiten. Danke das ich den Blick auf das Meer mit dir teilen durfte, und noch so vieles mehr. Es war spannend dich kennenzulernen und eine wahre Freude etwas zu deinen… read more Gemüsebeeten beizutragen zu können. Ich hoffe sehr es ist noch etwas gedeiht, ansonsten dachte ich das der EM-Kompost gegärt und dadurch vielleicht zu Ammoniumgehaltig gewesen ist, die Erde etwas ruhe gebraucht hätte bevor ausgesät wurde um das der Stickstoff umwandelt werden konnte (siehe Stickstoffkreislauf)… Oder das Saatgut war zu alt? Dafür ist ein Keimtest nützlich damit der Aufwand nicht um sonst ist ( einfach 20 Samen zwischen feuchtem Haushaltspapier keimen lassen und die Keimrate beobachten). Die Aufgaben waren vielseitig und die Arbeitszeiten wurden gut eingehalten. Das Essen ist himmlisch gewesen. Danke! Ich denke das mensch sich gut mit Emmeli verstehen muss, um längere Zeit auf der Finka zu verbringen. Denn auch wenn Privatraum gelassen wird, für Emmeli's wohlbefinden gehört dazu das Benehmen und Lebensweise manchen Ansprüchen folgen. Hier hilft es wenn mensch sich in einigen dingen ähnlich ist um sich nicht bezwängt zu fühlen. Es war sehr reich bei dir sein zu dürfen! I spent 9 days on the most beautiful finca and had a truly special time full of stimulating work, deep personal reflection and wonderful moments shared with Emmeli. My work consisted of helping to harvest mangoes (that hang like beautiful jewels from the trees, just stunning), peeling mangoes, weeding in the garden, general household maintenance… read more and cleaning, and a few Spanish classes! I enjoyed the work, which Emmeli really assigns appropriately and with a lot of thought for her guests, and the scenery was breathtaking. The daily lunches were divine- healthy, whole foods prepared with lots of love, and I learned a lot about how to properly nourish my body. Emmeli was never imposing with her knowledge, but whenever I had a specific question about nutrition, ayurveda, the moon cycle, and an array of other topics, she always answered with lots of interesting ideas and insight! I learned so much from her and have a more open, conscious perspective now. That being said, as worawayers we are expected to arrive ready to work, and possess a basic sense of respect and awareness when comes to working and interacting with other people. We are all learning new things everyday, no matter how young or old we are, and have to be open to listen, speak and adapt. Emmeli is a beautiful soul, ready to share her life with you and learn from you. I am forever grateful to you Emmeli, and thinking about my time with you really fills me with such positive energy. Mango power forever! Buena suerte con los huéspedes que vienen, eres una anfitriona magnífica! It was quite a time for me to learn how to deal with persons who do not like to accept even basic rules such as working time and a proper communication. I tried to respect their need for liberty. This meant that I had to adjust to their rules which was not easy for me because I felt overpowered on my own finca and not respected as a host. Uros… read more and Lenka are good workers with good knowledge of ecological gardening and they helped me alot. In the end we found together but these 9 days have been very exhausting for me mentally because of the discussions and their unconventional point of fiew which did not at all meet with my lifestyle. You should better chose hosts where you are totally free to do whatever you want. g u e s t.
If you love nature, fruit, trees and nice clean sea with open sandy coastline of Valle Niza, then you'll definitely have a great time there! We must point out that there are some basic rules that person must respect, such as cleanliness and being tidy! That makes complete sense, because one lady her 60s cannot take care of 250 fruit trees and clean the whole finca by herself! Although communication with Arturo was a bit difficult in the beginning it turned out to be a nice experience for boths of us. Arturo is a very introvert but loving person who did his jobs with a lot of care and attention. He fixed and repaired hundrets of small things, looked after the water system, pruned the Avocado trees and was always there… read more to give me a helping hand when I needed it. His massages (he is very professional) helped me alot with my physical problems. Thanks again that you have been here helping me and the nature. You are always welcome to return to my finca. I stayed on the farm for four weeks during mango seson. There were also some avocados. I had a nice accommodation in a camper with tarrace for myself. it makes life much… read more easier. Job was not hard, food was nice, 45 min walk to a beach. I recommend it for every fruit loving person. I enjoyed Karolinas stay here on my finca very much und we had a wonderful time together. She was very much interested in everything and I was happy to share my knowlege with a person who could value the gifts she received. I dont always pick up people from town or bus stop but Karolina was very special and I was happy to help to solve the… read more transport problems. All the work I gave her she made with attention and love so you could see the wonderful results, even it was in the beginning "only" weading. She is clean and tidy and left her accomodation in a perfect condition. The day always started… read more at 8 am and we were working till 12:30pm with an half an hour break at 10am. It was a very fair timetable, because you could do whatever you want for the whole afternoon. Weekends are also off, which is even better! because you can go to visit Malaga or other nearby places during this time. Emmeli was also very kind to take me back home from a bus stop each time I was returning from the weekend. It was very helpful because the nearest bus stop is an hour walk from the finca ;) However don’t worry because you can always hitchhike and people are usually keen to take you;) At 1pm we always had a dinner, which was always very healthy and tasty. I am eating vegan, so it was perfect combination for me;) Emmeli is a very good cooker, so even If you are not vegan I can guarantee you will not miss the meat meals;) Emmelie has also a set of rules about what to do and not to do in the finca. I think it is very good for people who like to know what exactly they are allowed to do without any misunderstandings. All the facilities are in a very good standard. Emmelie is a very clean person and she keeps everything in a good condition. I had my own little ‘apartment’ with a bathroom and kitchen within reach. In summary being at Emmelie’s finca it was a very nice experience. I worked on Emmeli's farm for just over 3 weeks and I can honestly say it was one of the best experiences of my life to date. The work was hard but fair, and Emmeli was more than happy to listen to new ideas and advise on tasks. She holds an incredible amount of information regarding diet and nutrition which has helped me to adapt my lifestyle and… read more make some much needed changes to life choices! 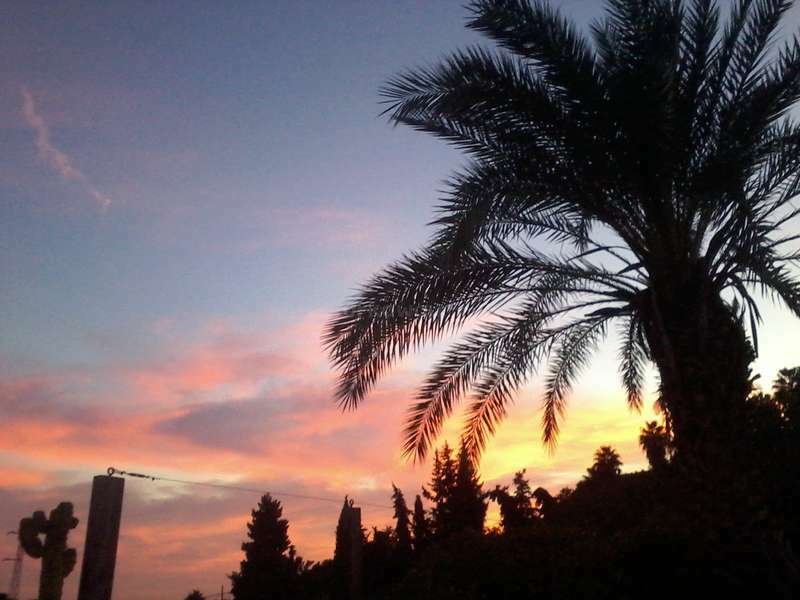 I stayed in her caravan, which in my opinion was the best place to be during the relentless heat of the Andalusian summer. It was basic but perfectly adequate for all of my needs and the terrace which is built around the caravan provides perfect shade for afternoon relaxation. I would recommend this workaway for anyone who is looking to change their diet for the better, or who is looking for a physical challenge. I would also return to work here again if I had a spare few weeks! Maia stayed with me 3 weeks and I was very lucky to host her. She is a quiet, polite and positive thinking person and she could make the whole vegetable garden with plants and seeds and compost during that time and also painted wonderful flowers to one wall which will remind me of her stay. She is very concentrated and hard working. I thank her… read more for her help and can really recommend her. I'm so thankful that i had possibility to stay at your finca on 2 weeks. It was very mentally growing time for both of us :), we had wonderful conversations. Sometimes I picked up mangos and avokados which were fallen on the ground, sometimes cleaning works and picked out those weeds from beds etc. maintenance works. Also those… read more natural treatment sessions what we had usually on the evening :D. That I had chance to exercise my treatment skills. You make lovely tasting food, lots of fresh and cooked food. Have a wonderful Christmas and the new year time and see you soon Emmeli!! Dear Ivelina - I enjoyed your stay from the first moment you came in like family. You gave me the opportunity to help and you helped me alot in decorating the new terrasse and when I needed translation of the new LOVE KITCHEN project you were the only one offering your service. This made me so happy and I can only hope that you and Victor will… read more come again and we will have a pleasant time together. Dear Victor - even though it was a bit stressy in the beginning, we found a wonderul way to communicate and you were a perfect help for solving important building problems so that before you left everything was in perfect order which made me so happy that the new social project can take place - you are the first helpers in this project which hopefully will succeed in due course. Take my sincere thanks and good luck that you will find a job in Barcelona. 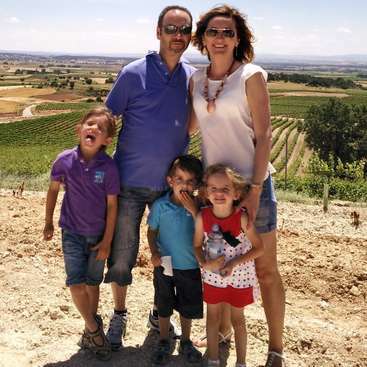 Ivelina: I would like to say, that we had a great time in your farm. You are very nice and good herated person. I woul like to thank you very much of your mental support (when I needed it) and for the good conditions you offered! It was great being with you at that paradise and we will definetly come again soon! Veronika performed her tasks to my complete satisfaction. After i introduced to her what to do she worked independently and responsable. She had a great motivation to work during her whole stay. She has a very pleasant personality, behaves polite and is an optimistic girl. We spend a lot of time together also during her free time. She also showed… read more great interest in the spiritual lifestyle. We had very nice talks about life, nutrition and the world. She traveled a lot and has a good insight into human nature. In the 4 weeks she stayed here she maily helped me with the Mango grop and making Mango products such as Marmelade, Chutney and Pickels. It was a pleasure for me to work together with her and she helped me to ease this stressy season and make it really enjoyable. She is always invited to come back again. It was a great time at Emmeli's. Me and Juliane went to Spain at the beginning of august, spent a couple days in Malaga what is only a few kilometers away from Emmeli and finally went there. It was great because you don't see avocados and mangos quite often in Spain and for sure not in Germany. So I worked with Emmeli on several things like… read more maintaining of the water system or establishing a new raised bed and Juliane was working in the garden. At working days and after work Emmeli always cooked a really good vegetarian or vegan dish which we really enjoyed. I admit that I learned quite much about good vegan food in this 2 weeks and also about plants. I also enjoyed the walks down to Almayate and to the beach, there you can see much more of Andalusia than in the City. Thank you for the oportunity and best wishes for the future and your coming helpers. Enjoyed working at Emmeli's finca. I did maintenance to the sprinkler system, fix the chicken wire cage roof, fix the mango's boxes and installed a new top on the coffee table. Along with cleaning inside and outside. Also, enjoyed the long walks to the beach and refreshing dives in the pool. The view to the sea and nature was magnificent.… read more Emmeli's cooking is off the hook...absolutely great food. I forgot how much I used to enjoy eating meat. I highly recommend her finca. I miss you Emmeli! May God continue blessing you. Emmeli is such a gift. An absolutely lovely person and incredible cook she made me feel at home while also encouraging growth. I'll never forget all the talks we had over her beautiful salads at lunch, where I realized that if you allow yourself to be open to new perspectives and ideas you can learn so much. I appreciated her very patient teaching… read more style and the variety of work from art projects to weeding and gardening. 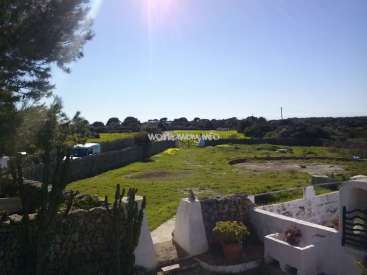 The property is lovely and waking up every morning to look out over her finca into the blue sea was a joy. Emmeli, I wish the absolute best for you, being at your finca for the three weeks has remained the highlight of my very long trip. 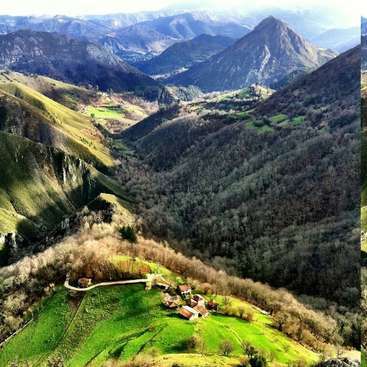 I hope that good people look at Emmeli's workaway page and are encouraged to visit this little piece of heaven in Spain. Oliver stayed nearly 3 month and I enjoyed every moment with him very much. I have lived on Emmeline's finca for about 3 months and would really love to return there. It's difficult to forget all our conversations sitting on her terrace overlooking the sea and valley in front and all those moments moving around in that forest of fruit trees. We had a lot of fun, her cooking is delicious and the fruit growing there is just… read more incomparable. Paul was nearly 4 weeks with us and built in a small kitchen and made a very nice Mandala on the outside wall. Thank you very much for this experience. Faith and Grace were the first two working guest in summer 2013. Although they were here only for about one week we immediately felt very happy together. It was a very hot summer and garden work is hard then but they managed very well. It is true that I offer a very nice place and pure food and therefore expect also some hours of intensive… read more work. My friend Faith and I stayed with Emmi for about a week during this past summer, when we were backpacking around Europe. Because our stay was relatively short, our work was mostly doing garden work and small tasks around the house, such as painting and cleaning. Emmeli is a very straightforward and meticulous person who appreciates punctuality and… read more diligence. Although you may think she is tough and somewhat rough around the edges at first because of her directness, once you get to know her more she is very sweet and thoughtful. We had a lot of fun together besides work. Emmi invited us to go to a vegan raw food workshop, which her friend hosted. Faith and I are not vegans, not even vegetarians, but we had a great time there learning how to cook delicious dishes and enjoying them afterward with a good company, nonetheless. 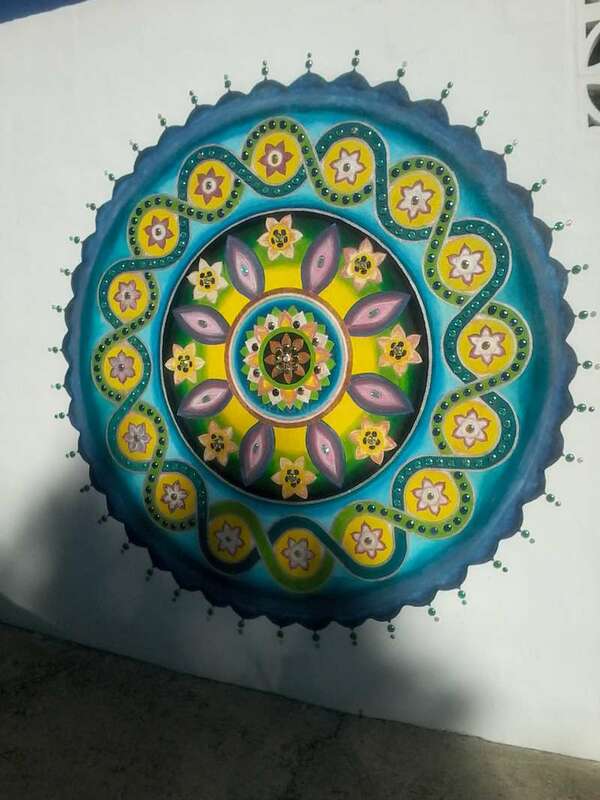 I remember she also encouraged us to make art together and Faith actually helped out with Emmi's Mandala art that is now on the side wall of the house. During our stay we had fresh and healthy lunches cooked by Emmi and did I mention plenty of avocados to eat daily? Overall, Faith and I had a wonderful time working and enjoying the beautiful weather, scenery, and food while learning about different lifestyle of others. One thing to remember, however, is that Emmi expects her workawayers to be independent, punctual, and hardworking, so if you are simply looking for a place to stay, this is not the place for you. Emmeli is a very strong minded woman and knows when, why and how to do every job she wants doing. You are constantly told and reminded about every little detail. Emmeli thinks she is the “boss” and you are not treated as an equal but like a servant. We thank her for the trust to be left on our own for 2 and a half weeks, while Emmeli went to… read more Germany for Christmas, but we still had to work (15 hours instead of 25 hours per week) and had to buy our own food, which we did not agree with. We had planned to stay for 3 months, but only stayed 4 weeks. Very limited internet access. The place was nice, the food ok, but needed to be a lot more substantial than one salad and a soup on working days, as we were working very hard. The cooking facilities were very limited, i. e. no oven, no usable frying pan. If Emmeli wants to have a happy community here, she needs to re-read the principles of the workaway scheme and open her heart and mind. It will not happen the way things are at present. On the good side, we did learn about plants and the garden watering system and she has a very comprehensive selection of tools and equipment to cover every job. We were wondering why so many workawayers did not leave any feed-back for Emmeli, but we understand now. We felt we needed to be truthful about our feed-back, as it is not fair to other workawayers not to know the truth and hope Emmeli can take this on as constructive criticism and improve things for the future. This experience could put you off ever doing another workaway again. I spent a very nice time in Emmeli's finca, she is a very good cooker, I learnt many things about gardening... Thank you very much Emmeli! Louise is a very nice person, with alot of friendlyness and always happy to do all the jobs given in a perfect way. She was a big help to me so I can highly recommend her. Had almost two wonderful weeks at Emmeli's finch in Malaga. I was very pleased with Emmeli as a host and the place. The surroundings are amazing! Great and healthy food, and overall a relaxing place in the nature. Loved my stay! Thanks for this summer! Celine made a wonderful drawing "manantial de luz" and ornaments on the entrance door and painted the walls. I love it very much because I had this wish since long time. She is a very disciplined and perfectionistic person. Thank you very much. Thank you for this wonderfull experience! Valerie did a wonderful and important job here. She is now a specialist all about Aloe Vera. Although it was quite a hard work she managed with a smiling face. As she has also some building skills she restored a wall. She has a very sympatic and harmonic nature and I was enjoying her stay with me very much. She is invited to come back whenever… read more she wants. Emmeli is a very strong and generous person and I´m very happy to get to know you. I really enjoyed the wonderful nature, the beautiful apartment and the good healthy food. Thank you for the nice time at your finca. It was a very good start for my workaway experience :). Emmeli is a very friendly and loving person. She is always in a good mood and there was always a very harmonic atmosphere. She owns a tremeandous beautiful piece of land. I stayed in a nice caravan with own wooden terrasse and view to the sea. Her way of living is a exemplary for me and she gave me a lot of food for thoughts. Overall Emmeli is a… read more very good cook. I can highly recommend this place to everybody and would be please to come back. Hope to see you again sometime. Ryan and his fried Ben worked on my ecological Finca near Malaga. I enjoyed their work and stay very much. Although it was hard work for them they managed very well. They had good manners, are very clean and absulutely confidential.